This 15-year-old Ukranian is the modern-day Rapunzel. Olena Korzenyuk is 165 centimeters tall and her hair is 235 centimeters long. When she stands on a chair, the ends of her long locks almost sweep the floor. 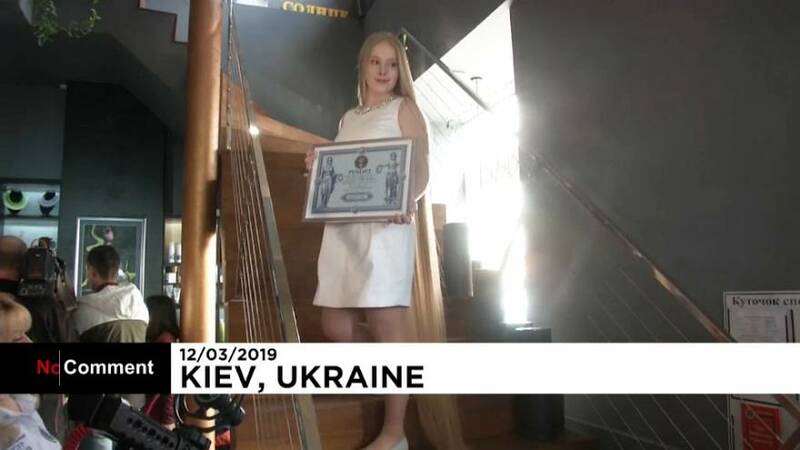 It has amazed experts from the Ukrainian National Register of Records who measured Olena's hair six months ago. It has grown 50 centimeters since then. The North Korean leader, Kim Jong Un, arrived in Russia on Wednesday in an armoured train to seek the support of President Putin, while the talks with Washington are frozen.